Mr. Grannon helps clients with antitrust matters, including civil and criminal defense as well as counseling for mergers and acquisitions and settlements of pharmaceutical patent litigation. Since 2001, he also has helped clients with concerns under the Foreign Corrupt Practices Act (FCPA) and other anti-corruption issues. Mr. Grannon began at the firm as a summer associate in 1997 and has been a partner since 2007. A former prosecutor, Mr. Grannon returned to White & Case after serving as Counsel to the Assistant Attorney General in charge of the Antitrust Division of the United States Department of Justice (DOJ) in 2003-04, where he helped formulate US antitrust enforcement policy and manage the civil and criminal investigations and court cases brought by the Antitrust Division. He ended his DOJ service with a detail as a Special Assistant US Attorney in the District of Columbia, trying twenty bench and jury trials as lead counsel. In private practice, Mr. Grannon has argued on behalf of clients in district courts across the country, including a successful verdict for defendants in an antitrust jury trial, argued appeals in the Eleventh and DC Circuits, and worked on twelve matters before the US Supreme Court, ten of which were antitrust cases. Other recent successes on behalf of clients include defeating class certification for direct purchasers, obtaining the dismissal of indirect-purchaser actions, and winning summary judgment, all in different pharmaceutical antitrust cases. Mr. Grannon clerked for the Honorable Walter K. Stapleton, US Court of Appeals for the Third Circuit, 1999-2000, and the Honorable Federico A. Moreno, US District Court for the Southern District of Florida, 1998-99. He is a member of the Legal Policy Board of the Washington Legal Foundation. Mr. Grannon served a three-year term, 2015-18, on the American Bar Association's Standing Committee on Amicus Curiae Briefs. He previously served as Vice-Chair of the Health Care and Pharmaceuticals Committee of the American Bar Association Section of Antitrust Law, and prior to that as Vice-Chair of its Compliance and Ethics Committee. Mr. Grannon has served as an adjunct faculty member at the Howard University School of Law, where he taught a seminar on advanced antitrust law. (ii) winning a contested motion for centralization under 28 U.S.C. § 1407, before the Judicial Panel on Multidistrict Litigation, to the client’s preferred venue in In re Zetia (Ezetimibe) Antitrust Litigation, MDL No. 2836 (J.P.M.L. June 8, 2018). (xiii) defending clients and their executives in the underlying two-year FTC investigation, including at six investigational hearings. Mr. Grannon also has counseled more than thirty pharmaceutical patent settlements that have avoided challenge by the FTC and class-action bar. Counsel for petitioner in Toshiba Corp. v. Automotive Indus. Pension Trust Fund, which challenges the Ninth Circuit's reversal of the district court's dismissal of a class-action suit premised on the extraterritorial application of the US securities laws based on unsponsored American Depositary Receipts (ADRs), Supreme Court docket No. 18-486 (cert. petition pending). Co-lead counsel for petitioners in the defense win in Stolt-Nielsen, S.A. v. AnimalFeeds Int'l Corp., 130 S. Ct. 1758 (2010), which changed US law by making it more difficult for plaintiffs to assert class-action claims in arbitration. This victory won the Litigation Category that year in the Financial Times US Innovative Lawyers Report. Competition Law360 featured this win in naming White & Case one of the top five class-action defense firms in 2010. Co-lead counsel for respondents in Mississippi ex rel. Jim Hood v. AU Optronics Corp., 134 S. Ct. 736 (2014), which concerns the removability of state attorney general actions to federal court under the Class Action Fairness Act of 2005 (CAFA). Lead counsel for the Chamber of Commerce of the United States of America as amicus curiae in Jock v. Sterling Jewelers Inc., 646 F.3d 113 (2d Cir. 2011), a class-arbitration case turning on the application of Stolt-Nielsen, S.A. v. AnimalFeeds Int'l Corp., 130 S. Ct. 1758 (2010). Co-lead author of successful motion to dismiss a predatory pricing case in In re Parcel Tanker Shipping Servs. Antitrust Litig., 541 F. Supp. 2d 487 (D. Conn. 2008), which is one of the first decisions obtaining dismissal under the Supreme Court's decisions in Twombly and Weyerhaeuser. Part of the team defending respondents in a putative class-action arbitration involving claims of international price fixing and customer allocation in the shipping industry; co-lead author of successful petition to vacate class-arbitration award in Stolt-Nielsen, S.A. v. AnimalFeeds Int'l Corp., 435 F. Supp. 2d 382 (S.D.N.Y. 2006). Co-lead author of brief in opposition to certiorari in the then-leading case on settlement of pharmaceutical patent litigation: FTC v. Schering-Plough Corp. and Upsher-Smith Laboratories, Inc., Supreme Court docket No. 05-273, cert. denied June 26, 2006 (defeating the FTC's certiorari petition and garnering the amicus support of the United States in opposition to the FTC). Co-lead counsel successfully defending Malaysian producers of extruded rubber thread against claims of price fixing in Dee-K Enterprises, Inc. v. Heveafil Sdn. Bhd., including: (i) verdict for defendants after a jury trial in federal district court; (ii) unanimous affirmance on appeal to Fourth Circuit, 299 F.3d 281 (4th Cir. 2002); and (iii) lead author of brief in opposition to certiorari, Supreme Court docket No. 02-649, cert. denied June 27, 2003 (garnering the amicus support of the United States). Dee-K v. Heveafil is the leading precedent on the extraterritorial application of the Sherman Act under the "substantial effects" test from the Supreme Court's decision in Hartford Fire Ins. Co. v. California, 509 U.S. 764 (1993). Lead counsel for a Taiwanese semiconductor manufacturer in both the DOJ's static random access memory (SRAM) antitrust grand jury investigation (which concluded in no indictment despite the cooperation of the amnesty applicant) and the parallel class-action litigations. Co-lead author of petition for a writ of certiorari in White & Case LLP v. United States, challenging Ninth Circuit's reversal of district court order quashing DOJ grand jury subpoenas that sought all discovery in parallel, follow-on class actions alleging a cartel in thin-film transistor, liquid crystal display panels (TFT-LCD), and lead counsel coordinating support of eight amici curiae for same, Supreme Court docket No. 10-1147, cert. denied June 27, 2011. Co-lead counsel defending a non-US executive in the DOJ's cartel investigation of the dynamic random access memory (DRAM) industry. Lead author of successful motion for a bill of particulars forcing the Antitrust Division to supplement its barebones, formulaic indictment with detailed factual allegations. United States v. Kim, No. 06-0692, (N.D. Cal. Mar. 1, 2007). Lead author of petition for a writ of certiorari in the Stolt-Nielsen, S.A. v. United States litigation to enforce an antitrust amnesty agreement against the Antitrust Division of the US Department of Justice, and lead counsel coordinating support of nine amici curiae for same, Supreme Court docket No. 06-97, cert. denied Oct. 30, 2006. Part of the team successfully defending against former co-conspirators' attempt to reverse the grant of leniency from the European Commission to Stolt-Nielsen, S.A. Co-author of petition for a writ of certiorari in Anthem, Inc. v. United States et al., Supreme Court docket No. 16-1342 (filed May 5, 2017), seeking review of United States v. Anthem, Inc., No. 17-5024, 2017 U.S. App. LEXIS 7521 (D.C. Cir. Apr. 28, 2017) (Rogers and Millett, JJ., Kavanaugh, J., dissenting), which affirmed an injunction under Section 7 of the Clayton Act of the proposed merger between Anthem, Inc. and Cigna Corporation. Lead antitrust counsel advising a leading US tobacco company on the formation of a joint venture for the development of intellectual property. Lead US antitrust counsel for an innovator pharmaceutical company in a cross-border acquisition and pharmaceutical product development agreement. Lead merger counsel obtaining early termination of the HSR waiting period for review of Iron Mountain Inc.'s acquisition of Archives One, Inc.; anticipated and resolved DOJ's market share concerns within two days. Lead counsel for regional wireless service provider as third-party witness concerning a multi-billion dollar telecommunications acquisition; worked with DOJ to achieve divestiture of significant asset of target as sought by client. Co-lead merger counsel obtaining early termination of the HSR waiting period for the acquisition of Kos Pharmaceuticals, Inc. by Abbott Laboratories. Part of the team litigating the first merger efficiencies defense under the then newly revised horizontal merger guidelines in FTC v. Staples, Inc., 970 F. Supp. 1066 (D.D.C. 1997). US v. Sungard Data Systems, 172 F. Supp. 2d 172 (D.D.C. 2001) (defeating DOJ's merger challenge). Lead counsel advising a multi-national, direct-selling company on its anti-corruption compliance policy and training program for its operations throughout China. Lead counsel advising a Fortune 200 company on the due diligence, contractual, and operational compliance issues implicated in the creation of a long-term contract manufacturing relationship with a partner in China. Lead counsel representing a UK consulting firm on pre-acquisition due diligence and transaction structuring for an acquisition in Moscow, Russia; led interviews of target's personnel and on-the-ground investigation for same. Lead counsel advising board of directors of a Canadian company on FCPA consequences of listing on a US stock exchange; revised corporate compliance program as a result of the US listing. Lead counsel representing a Fortune 10 company by handling the FCPA and other compliance negotiations for the company's formation of a joint-venture, real-estate investment vehicle with the investment arm of a leading Middle Eastern government; designed compliance program and employee manual for the j.v. entity. Lead counsel representing a Fortune 100 company by conducting the due-diligence investigation and negotiations concerning the FCPA and Mexican-law implications of a proposed acquisition; handled the client's self-report to US enforcement authorities. Representing a Fortune 100 company by running more than a dozen compliance investigations on four continents for issues under the FCPA, and managing the investigation self-reports to US enforcement authorities; drafted compliance policies and procedures following conglomerate-wide risk assessment. Co-lead counsel defending various foreign sovereigns and their agencies and instrumentalities in motion and appellate practice in four different litigations under the FSIA and act-of-state doctrine. Lead author of petition for a writ of certiorari in one of the main precedents on attachment and execution under the FSIA: Ministry of Finance of the Republic of Indonesia v. Karaha Bodas Co., Supreme Court docket No. 05-1571, cert. denied Oct. 2, 2006. 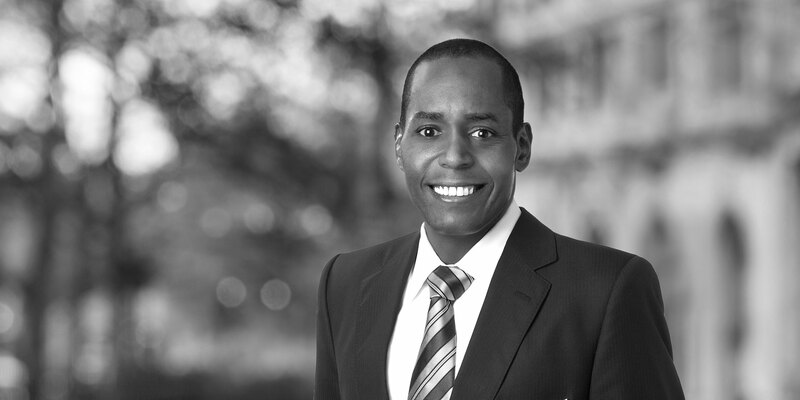 Mr. Grannon serves as outside general counsel to the leading corporate advocacy association in the United States. "Institutional Shareholdings: Is There Really an Antitrust Issue? ", June 1, 2018: Global Antitrust Economics Conference at New York University's Stern School of Business sponsored by Concurrences, (panelist). There is a video summary of Mr. Grannon's presentation on the adverse implications of proposals to limit institutional investors to 1% ownership of industry participants due to alleged common ownership antitrust concerns. Lead author of the "United States: Pharmaceutical Antitrust" chapter in the Global Competition Review's Antitrust Review of the Americas 2016, 2017, 2018, which won the Best Antitrust Business Article – Intellectual Property Category, Concurrences Antitrust Writing Awards in 2018. Author, "Are Antitrust Violations Crimes Involving Moral Turpitude?," The Champion magazine, published by the National Association of Criminal Defense Lawyers (April 2012 issue), which won a Burton Award for Distinguished Legal Writing in 2013. 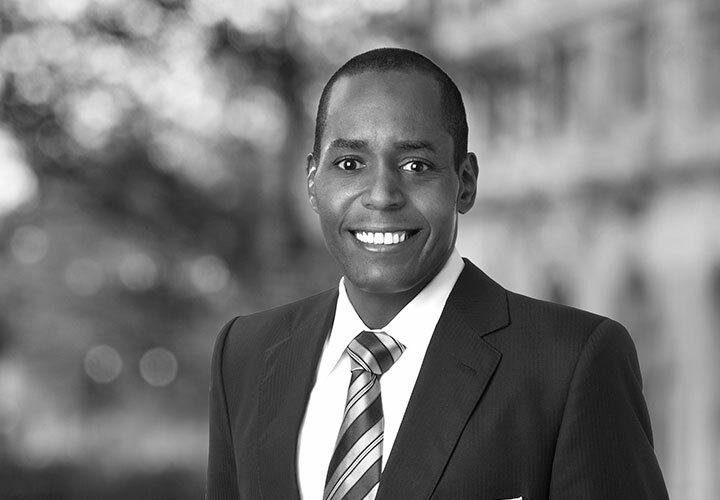 Eric Grannon, a partner specializing in antitrust in the Washington, DC office of White & Case LLP, has been named to Who's Who Legal: Competition – Future Leaders 2017, which "aims to profile the foremost practitioners in the competition community aged 45 and under." Incorporating peer acknowledgments, the listing says: "Eric Grannon is 'one of the rising stars of the antitrust bar' who is particularly noted for his 'excellent experience in the pharmaceuticals sector.'" Awarded the 2013 Burton Award for Distinguished Legal Writing for the article, "Are Antitrust Violations Crimes Involving Moral Turpitude?," The Champion magazine, published by the National Association of Criminal Defense Lawyers (April 2012 issue). Named an antitrust "MVP" for 2012 by Law360, one of eight honorees in the United States. As part of that recognition, the CEO of one client said: "In my position as an executive, it's a very unnerving process to go through depositions while having a business to run.... But Grannon was very collected and focused, and had a very calming approach." Ranked one of the top ten antitrust attorneys in the United States then under the age of 40 by Competition Law360 (2010). That ranking observed: "Eric Grannon has a reputation for taking on the U.S. government in high-profile antitrust cases...."